1. Right-click on any metric graph currently being displayed on your home page. Choose the About... option to continue. 2. 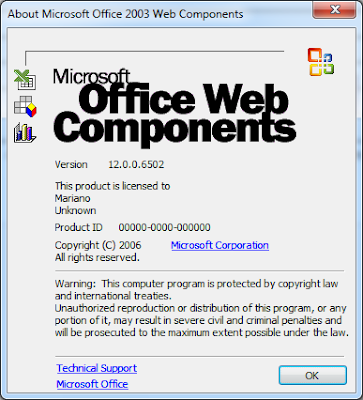 You will now see the version number of the Office Web Components installed and being used with Microsoft Dynamics GP. If you have any questions on a specific version, please see my article Microsoft Dynamics GP 2010 and Office Web Components for more information. Look what Santa brought for me!